Do you get ugly zits on your face every now and then? Or have you been suffering from a major acne breakout and don't know how to cure it? I have something I want to share to you today, Flawless' K.I. Pimple Injection. If you've been following my stories recently, you probably know I had the ugliest and the most heart-breaking acne break-out ever! It got so worse that I just cry every night and I literally despised each moment I needed to wash my face because it was really painful, stingy and unbearable. Even looking at myself in the mirror wasn't too much of a joy. I had to think too many times if I should do this post on my blog. I didn't want to expose my ugly skin to people because I'm afraid I might get ridiculed. But, when the treatment healed me, I thought I should share it to my readers because there might be someone who also is going through the same painful experience and is seeking for a solution. Flawless is an aesthetic center in the Philippines that caters especially face, body and medical services. They offer different services that promise to deliver medically sound beautification services and products to customers. One of the most popular services that they have is the Pimple Injection that promises to give results in just a short time. Actors and actresses, who are expected to be flawless from head to toe, usually avail of this treatment. Here's a photo my skin before and after the treatment. No, i didn't have to wait for a long time. The photo on the right was my skin the morning before going to the clinic. And the photo on the left is my skin upon waking up the next day. K.I. 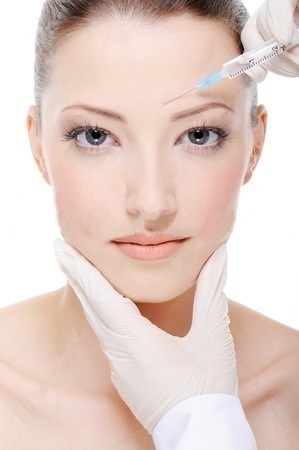 Pimple Injection at Flawless is done by a professional resident doctor. The treatment is safe because they make sure that the procedure is clean and they throw each needle right after each use. The doctor also uses surgical gloves to prevent spreading of germs. They use Kanolone which is an anti-inflammatory fluid that kills virus and bacteria causing acne. Price: Each shot (meaning 1 shot per zit) costs P100 or about $2.3. Here's a closer look to my skin before and after the treatment. In this photo, you can see some really huge and ugly cystic acne. The skin was also rough and pores were visible. In this photo, you can see that the big spots subsided. The cystic acne near my ear also disappeared. My skin became tighter and clearer. Here are some more information about the treatment.. Treatment is done by a licensed doctor. Procedure is safe and clean. Could be expensive, especially if you have many spots. Leaves red scar after a couple of days. I did a research about Kanolone here. I also read some reviews from people who had the same treatment that stated they experienced collagen loss or "skin tissue loss" from the treatment. I did not even once experience the same thing and from what I read, the cells will regenerate after a couple of months. The only downside to this treatment is that it is painful. Imagine having a couple shots done all at the same time? But, the pain is worth it especially upon waking up the next day and checking yourself in the mirror to see that the ugly zits have subsided. The scars eventually heal and disappear so no worries about that, too. Overall, this treatment was effective on me and I had no side-effects or bad experiences about this so far. Questions, comments and stories? I would love to hear from you, too! Leave your comment in the box below. I thought I should update this post. The two photos I attached above seem to not have any effect as the "after" photo of my skin still isn't too much of a joy to look at. I did this article in May and after 1month of having this treatment at Flawless, the acne finally got tired of escalating on my face. I get this treatment once every two weeks, so from May 20 to this day that I updated this post, I've had two more sessions. Yes, the pimples are gone!! And I am so happy! I remember the first time I had this treatment, the doctor would inject about 30 shots or more on my face!! :'( Until it became 22... 17... and last week, the doctor only injected 3! I am so happy and thankful that my skin is finally better now. 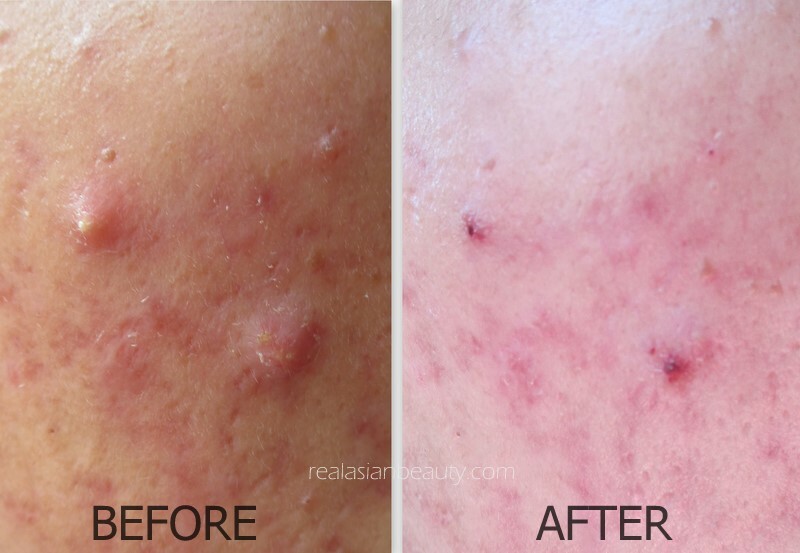 I know, I have deep acne scars and I will write another blog post soon on how I cure my acne scars! Please try this treatment at your own discretion. What might be effective on one person might not be effective on another. Please consult a doctor prior to treatment.